This page contains a calendar of selected events I recommend in the East Neuk of Fife and St Andrews area – the majority are annual events. Music, nature, science, poetry, art, dance, theatre, food, beer, shopping, sailing and golf – there’s something for everyone! p.s. as more 2019 event dates become available I’ll add them here. First Saturday of each month: Fife Farmer’s Market in St Andrews from 9am to 1pm – “fresh food from Fife”, a market with a wide range of food from some great local suppliers plus some plants and craft stalls. There are also live cooking demos from the Head Chef at The Old Course hotel from 10am. The market is held in the Argyle St car park, KY16 9BX. Second weekend of the month including 9 & 10 March, 13 & 14 April & 11 & 12 May 2019: Bowhouse Market Weekend, Bowhouse, Balcaskie estate, by St Monans – Visit Bowhouse and experience fresh food, drink, crafts and gifts from Fife and beyond. Enjoy live music, KY10 2DB. Monthly on a Tuesday from late Spring: 2019 dates TBC: The Night Market, Balgove Larder Steak Barn, outside St Andrews – The Night Market is about bringing people together midweek for food, drink, stalls and music! Tuesdays are the new weekend. 5-9pm except the Christmas market which is 4-8pm. 1 February – 10 March 2019: Snowdrop Festival, Cambo Estate – Cambo’s famous annual snowdrop spectacular! Snowdrop woodland walks, piglets & ponies, play area, plant shop bursting with snowdrops and more. Specialist snowdrop sessions. Dog friendly everywhere. 10am – 5pm. 5, 12, 19 & 26 February 2019: Afternoon tea at Cambo House. 2pm. Call 01333 45054 to book. 6-10 March 2019: StAnza Poetry Festival, St Andrews – the only regular festival dedicated to poetry in Scotland, StAnza is international in outlook. Founded in 1998 it is held each March in St Andrews. 5-14 April 2019: “On the Rocks” Arts Festival, St Andrews – Scotland’s largest student-run arts festival. April: Anstruther Duck Race – The Anstruther Improvements Association (10.30-11am) will be holding its annual Duck Race in the Dreel burn. Ducks will be available to buy from local shops. May: Elie Scarecrow Festival – Each year the residents of Elie get creative and compete to design the best scarecrow. You get to see them all around the village and vote for your faves over the weekend, usually with a trip to the pub along the way. Lots of fun (£2 for a guide). 4-6 May 2019: Open Studios North Fife – 66 artists, makers and designers open their studios to the public this weekend. Brochures are available to download or collect (10am-6pm, free). May: Cambolicious Craft Beer Festival, Cambo Estate, Kingsbarns – Music – Food – Delicious Beer and yet also family-friendly! Read my blog post about the event (no. 4). 3 – 13 June 2019: Fife Gardens Summer Trail – An opportunity to see 8 privately owned gardens, showcasing very different and wonderful designsall different, 5 of which have never or rarely admitted visitors before (times vary, £25 for entrance to all gardens). Mid June: Crail Food Festival – a wonderful weekend of foodie fun in the East Neuk which is now in its 8th year. Expect tastings, food market, cookery demos, live music and family fun. 26-30 June 2019: East Neuk Festival – annual event presenting world class site-specific music, installations and literature. Read this article about the 2013 event from The Scotsman newspaper for a flavour of what a great event this is! Early July: Craigtoun Country Fayre – two days of family fun at Craigtoun Country Park near St Andrews to start the Summer holidays with a bang, including storytelling, party dances, falconry, craft tent, music and all of the park’s usual rides. (10am-5pm, donations welcome). July: Crail Gardens Open Day – unique opportunity to visit the lovely private gardens of the residents of Crail, including some superb harbour views (1-5pm, £5 – tickets and maps from 2 Castle Street or 52 Marketgate South). July: Kingsbarns Hidden Gardens – spend a Summer’s afternoon exploring beautiful gardens in the picturesque village of Kingsbarns. Plants to buy, gift and book stalls, garden quiz and refreshments in some of the gardens for a donation to CHAS (12-5pm, £4, tickets and map from Kingsbarns Square). July: St Andrews Art Club Summer Exhibition – annual exhibition from this prestigious local art club which has been running since 1959. Great to visit (free entry) and very affordable if you are looking for something new for your walls (10am-5pm or 12-5pm on Sunday, St Andrews Art Club rooms, Argyle Street, St Andrews). 17-27 July 2019: Crail Festival – the 34th year of this annual arts and children’s festival held in the East Neuk village of Crail. Widely varied programme aimed at all ages and tastes. 19-21 July 2019: Anstruther Harbour Festival including Anstruther Muster, Anstruther – annual sailing race of 200+ boats organised by the Anstruther Sailing Club which has now expanded into a community harbour event offering a wide range of events and activities for visiting yachtsmen, locals and holidaymakers alike. 28 July 2019: St Andrews Highland Games, Station Park (in front of the Old Course Hotel), St Andrews – Events are: Running, Cycling, Heavy Weights, Tug-of-war, Solo Piping and Highland Dance. 3-11 August 2019: Pittenweem Arts Festival (check out my blog post on this too!) – annual celebration of the arts with venues across the whole picturesque village of Pittenweem – from people’s living rooms and gardens to the galleries and the pier (10am-5pm, free). September: St Monans Community Arts Festival – A community arts festival for all ages featuring workshops, exhibitions and other creative activities. Now in its 11th year. Free events. 26-29 September 2019: Alfred Dunhill Links Golf Championship (check out my blog post on this too! ), Old Course at St Andrews, Carnoustie and Kingsbarns – annual golf championship where professional golfers team up with celebrity amateurs to compete (“pro am”) – great for golf fans or those who fancy a bit of celebrity-spotting. On the Saturday night there is also a firework display in St Andrews. Throughout October: St Andrews Photography Festival – celebrating 176 years of Scottish photography in the home of Scottish Photography. Exhibitions, events, talks, historic process demonstrations and workshops across 20+ venues. 17-20 October 2019: St Andrews Voices – fourth year of this vocal festival. 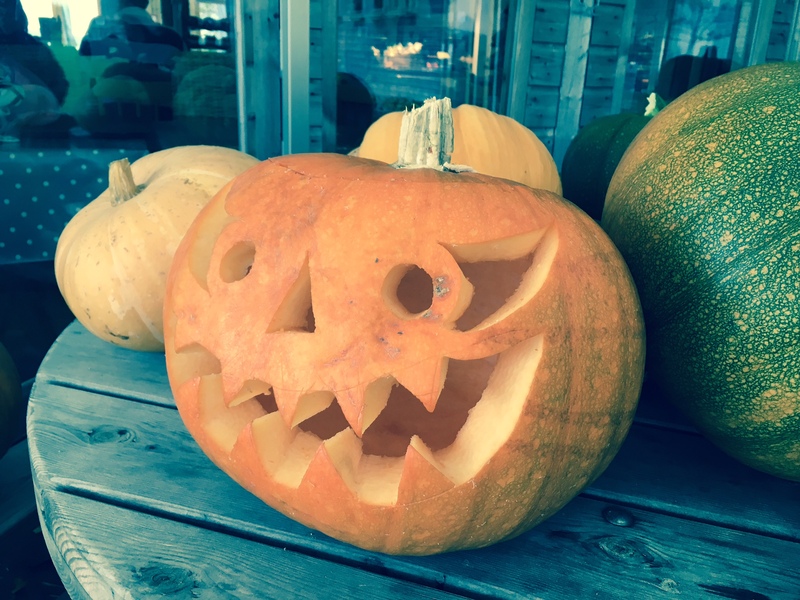 Opera, cabaret, lieder, jazz, early music, folk and much more…TBC: Halloween events – expect events in Craigtoun Country Park, The St Andrews Preservation Trust Museum and Garden, Cairnie Fruit Farm and more – details to follow! November: St Andrews Brass Festival – Since its inception in 2012 the St Andrews Brass Festival has developed an identity as a festival of exploration, experimentation and participation. November: Christmas Craft Fair, Byre Theatre, St Andrews – The Byre’s famous Christmas Craft Fair is a chance to browse and buy beautifully crafted gifts for friends, family and maybe yourself – meet the makers and enjoy the atmosphere (10am-5pm, free entry). 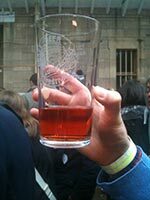 November: Cambolicious Craft Beer Festival, Cambo Estate, Kingsbarns – For the second time in 2017 it’s the East Neuk’s very own beer festival! Showcasing the best in Scottish craft beer and cider together with live music, delicious food, games and crafts. (2-8pm.) Read my blog post about the event (see no. 4). November: Christmas Food and Craft Fair, Cambo Estate. The perfect opportunity to do your Christmas shopping! Enjoy browsing around the Christmas stalls set up throughout Cambo House. Local crafts and delicacies. Seasonal music and entertainment. November: East Neuk Open Studios Winter Art Show, St Monans Town Hall, St Monans (11am-4pm). Dates TBC, end November: St Andrew’s Day Celebrations – Scotland’s Patron Saint’s day is always a big weekend-long celebration of Scottishness in his namesake town of St Andrews so make sure you join in the party, including Scotland’s biggest outdoor ceilidh! TBC November: Pittenweem Artists and Galleries Weekend – Winter exhibitions in 5 Pittenweem galleries show a wide range of artwork. The weather might be bracing, but the superb scenery, architecture and artistic diversity all add up to a perfect day out. And in between venues, enjoy coffee or lunch in our two High Street cafes; both offer a great choice of food and refreshments.